If you are currently evaluating, planning, or managing application performance in a Citrix environment, don't let your desktop virtualization project get derailed by poor end user experience. 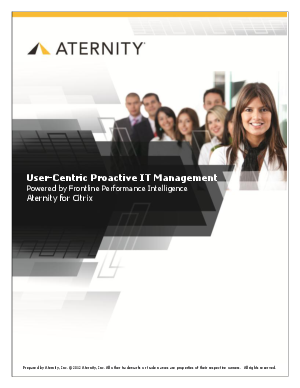 Download a new whitepaper today to learn how to gain the comprehensive visibility into monitoring Citrix XenDesktops from the end user perspective. You'll read about how other organizations are leveraging End User Experience Monitoring to measure and manage the performance and impact critical virtual technologies are having on business performance and productivity.